action figures, your search engine should let you customize the theme for your search results page, right? Darn tooting! True, Custom Search already lets you customize the look and feel of your search results page, but we're making it easier. You can now go to the control panel and select one of the predefined themes that broadly matches the look and feel of your website. If the standard themes are not quite what you want, you can make further changes. You can tinker with the page layout (Why stick with a single column of results, when you can have two?) and play with the font colors and types. The standard themes paired with the "Compact" layout option are optimized for mobile devices, so they work well on iPhone, Android devices, and Pre. If you want a greater level of control than that, you can download the CSS, tweak it in a text editor, and host the CSS in your website. You can make your search results page blend with the style of the rest of your website. 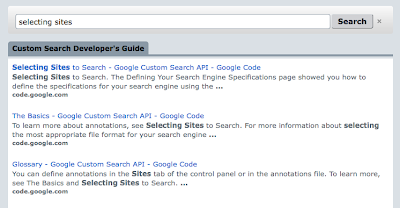 To learn more, read the Custom Search Developer's Guide. If you can select headgear for your LEGO ® action figures, your search engine should let you customize the theme for your search results page, right? Darn tooting!